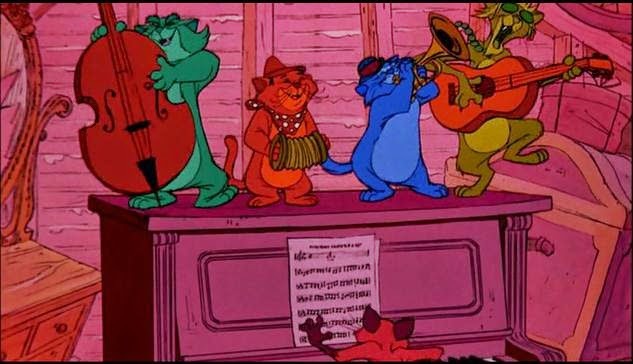 When it comes to Disney, one of their biggest highlights is there classic selection of songs, especially from their animated pictures. There are so many timeless tunes ranging from “Be Our Guest” in “Beauty and the Beast” to “A Whole New World” from “Aladdin”, that kids and families probably know all the lyrics off by heart. However, for all the hit Disney songs, there’s just as many great ones that just aren’t given as much attention, heck some may not even know these songs exist. So to make sure good music doesn’t go unheard, here are my personal top 10 underrated Disney Songs. The title of this song may sound very familiar, because it’s a tagline that’s been used countless times in films like “Gone with the Wind” and “Annie”, but that’s why I love this song. It feels so timeless and familiar, yet it’s one of the lesser known Disney songs. 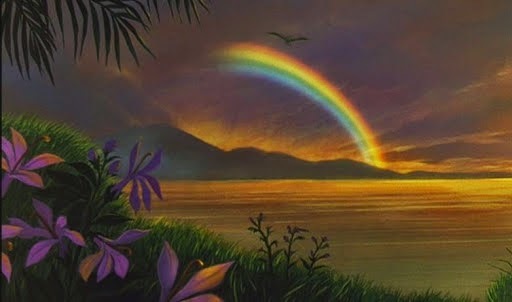 When the movies two little hero’s set off on a journey to rescue a kidnapped girl, they get a renewed sense of hope that a rainbow may be at the end of a storm. There’s something genuinely wholesome about the promise of a new day, and new beginnings which is beautifully captured in this musical number. The melody is charming, and the scene itself boasts some splendid animation as they travel by air over several colorful locations. 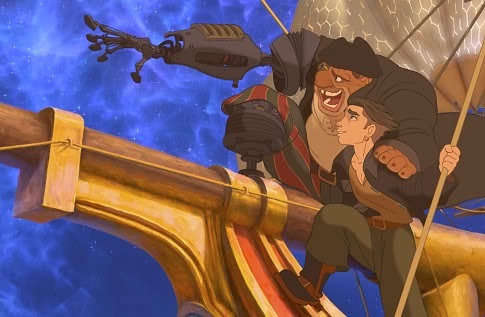 Disney’s “Treasure Planet” has always been one of my favorite traditionally animated movies of the 2000’s and while it’s not a musical like many of the others, it still has two really good songs performed by Johnny Rzeznik. The highlight is “I’m Still Here”, which becomes the main theme of the movies hero Jim Hawkins, a young man who’s been having lots of problems. This upbeat theme song addresses that no matter how ruff life can get, you should never let the pressures of the world bring you down. It’s energized, and reflects the personal struggles and triumphs of our hero perfectly. Billy Joel hits it out of the park with one of the catchiest musical numbers to ever come from Disney. I swear, if you listen to this once, you’ll be humming it all day, it’s just that catchy. Unfortunately, it’s also a really underappreciated song from a really underrated Disney movie. Actually, there are lots of really good songs in this film, including the opening segment titled “Once Upon a Time in New York City”, but it’s Billy Joel’s song that really stands out. 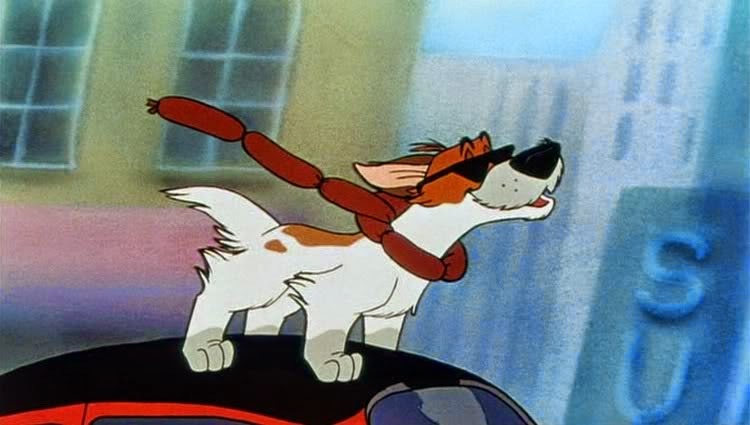 When a homeless cat named Oliver comes across a street wise talking dog named dodger, it doesn’t take long for him sing about how to survive in the big city. What can I say, I’m a sucker for this, it’s upbeat, nostalgic and unbelievably catchy. Disney’s “Tarzan” came out at a time when the studios animated movies were at the quality of Broadway musicals. “Tarzan” however wasn’t a musical at all, it was just a movie that happened to have songs in it, all of which were sung by Phil Collins, which you’ll either love or hate. Personally, I really love this soundtrack, and the songs ranging from “Two Worlds” to “Strangers like Me” are some of my absolute favorites. But the big song that always seems to get overlooked is “You’ll be in my Heart”. 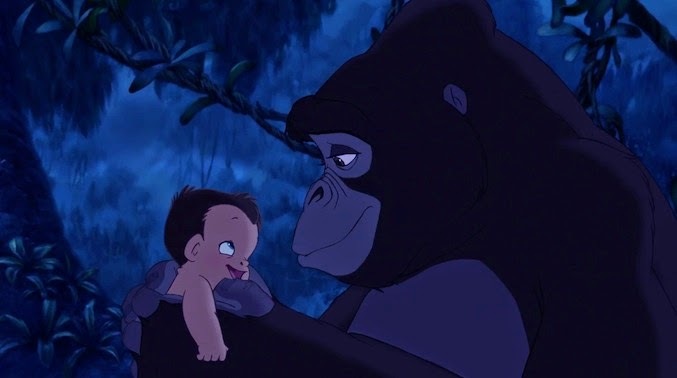 It’s a touching, soft rock baled that serves as the perfect melody for when the infant Tarzan is adopted by loving female Gorilla that had just lost a child of her own. Describing a mother’s love while transcending differences was so emotional that for 19 weeks it topped the adult contemporary charts and won that year’s Oscar and Golden Globe award for best original song. Let’s hope this song finds its way back in the lineup of popular songs from Disney. If this song doesn’t get you the least bit terry eyed, then you just don’t have a soul. Of all the really touching moments to come from Disney, nothing ever tugged harder at the heart strings then this scene and whenever I hear that peaceful melody, I can’t help but get all chocked up inside. 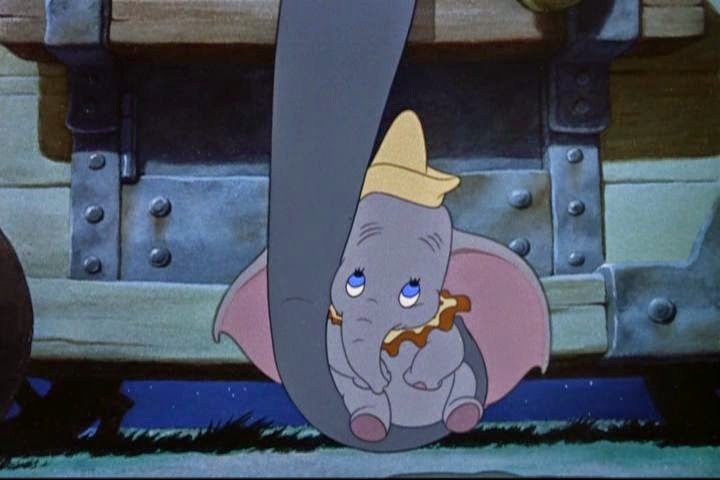 In this scene the infant elephant Dumbo visits his mother who was wrongfully put in prison. What follows is a wholesome little lullaby that’s every bit as sad as it is comforting. The late Betty Noyes provides the singing, and she really hits it out of the park. The song itself got an Oscar nod for best original song, and was on top of all the hit charts for a while, but sense then it’s sadly fallen by the waist side and is no longer a house hold name. People of the internet, we need to turn this around, because this song dissevers to be a house hold title again. Bet you weren't expecting this, but here it is in all its underrated glory. As a child, I watched this movie all the time, and the music really holds up to this day. 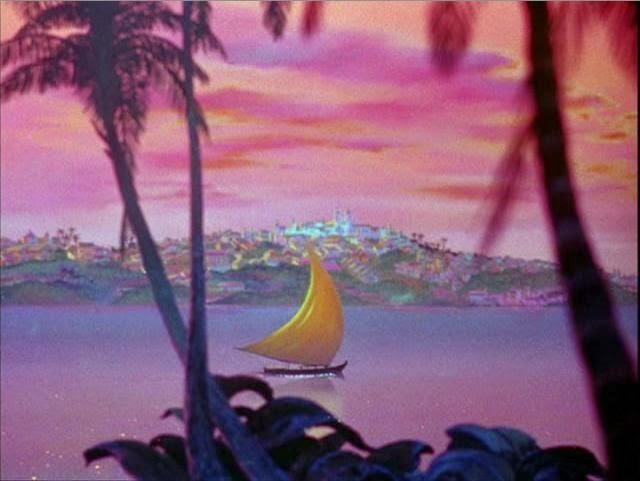 As Donald Duck and his comrades travel the globe, they make a stop at a city in Brazil called Bahia, and as one big love letter to this location, we’re treated to a magical number revolving around the subtle beauty of this place. 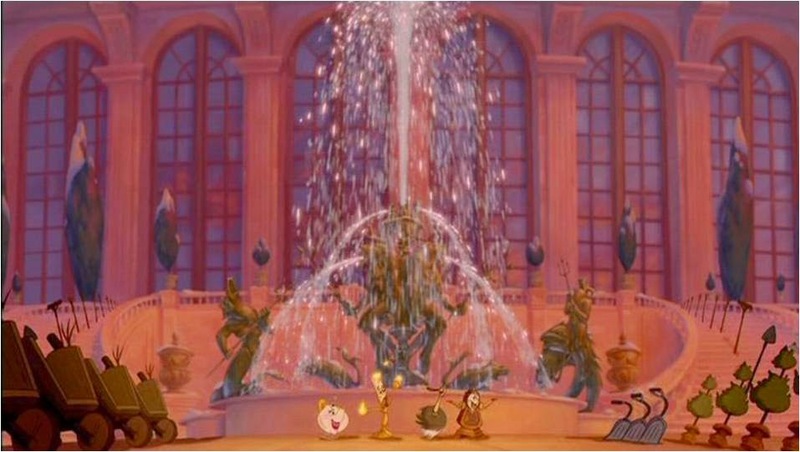 Personally, this is one of my favorite segments to ever come from a Disney movie, the simple hand panted illustrations, the warm colors, the peaceful music, it just conveys a really calm mood and it’s just dripping with atmosphere. While there’s a lot of terrific songs in this film, it’s the music of “Bahia” that just fills me with warmth, beauty and I look forward to experiencing it time and time again. There aren’t too many other Disney songs that combine beauty, emotion, simplicity and bring it up on a big scale quiet as well as this one. Everything starts nice and subtle as we see our hero Quasimodo and the villain Frollo deep in conversation. 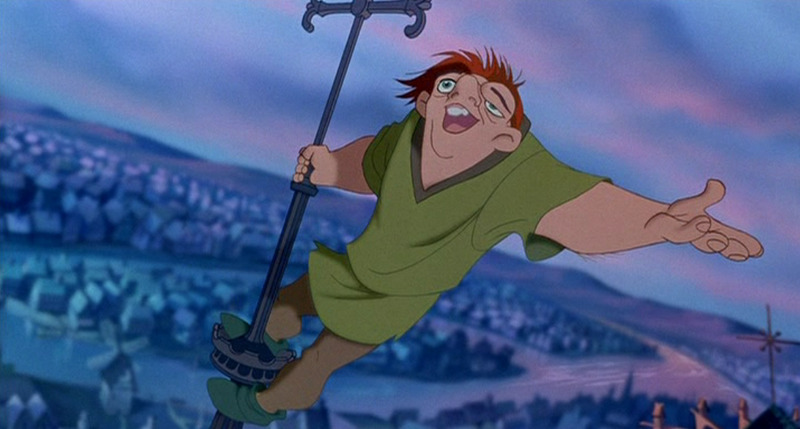 It doesn’t take long for us to feel sympathy for Quasimodo as he's trapped under his evil masters leash, and is stuck in his tower. However, as the scene builds, he sings about how he’s yearning to go out there and embrace the world. 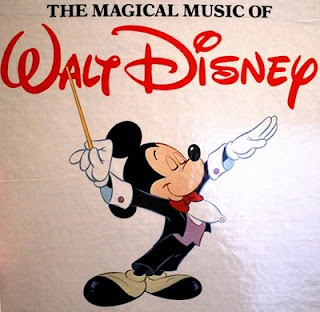 It’s such an uplifting musical number, brought up on a grand scale and voice actor Tom Hulce (the same talent who played “Amadeus”) really puts a lot of passion into this song. While it’s short on the traditional catchy lyrics of other Disney tunes, it’s still an upbeat spectacle and personal favorite of mine from the studios ever growing soundtrack collection. 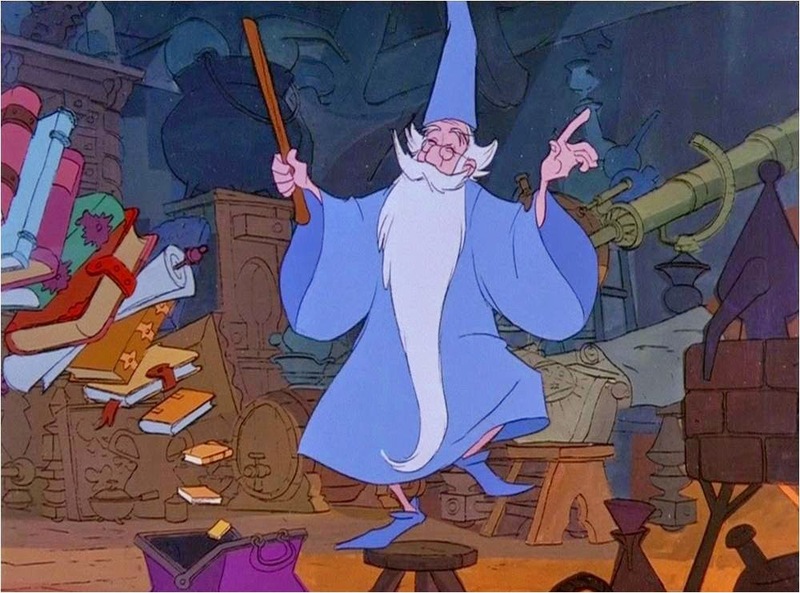 The musical segment titled “Human Again” from the 1991 motion picture “Beauty and the Beast” is very different from all the other songs on my list, because this was actually deleted from the theatrical release of the film. However, it’s been re-inserted into several DVD additions, and hopefully this cheerfully upbeat song will become more popular. In this musical number, all the enchanted objects in the castle get the chance to express their desire to be human again, which may not sound that special, but the presentation is awesome. It stars calm and simple, then it gradually builds, the environments get really active and the quire just gets stronger by the minuet. The lyrics are catchy, everything is elevated on a grand scale, I love the way it transitions to various locations on the castle grounds, and it just feels like it belongs with Disney’s classics songs. Speaking of musical numbers that you can only see on the extended cut, Disney’s “Pocahontas” also had a fantastic song number that was unfortunately deleted from the theatrical film, but edited back in for the 10th anniversary DVD. When John Smith is captured by Native American Indians and sentenced to death, he’s visited by the Indian princess who won his heart earlier and together they share a song number titled “If I Never Knew You”. Pocahontas and John Smith were never one of my favorite Disney couples, but this song is still a personal favorite, it’s subtle, and quiet touching in its own right. It’s making its way in popularity but still isn’t a house hold title like “A Whole new World”. Shame, because I think this is one of the better romantic songs to come from Disney. The melody is beautiful and it’s such a great song about what life would be like without someone you loved. The final version performed by Jon Secada & Shanice is also fantastic. I really hope more people discover this because it really is one of Disney’s best romantic songs. When it comes to Disney’s “Hercules”, I think most people remember the wilder musical numbers like “Zero to Hero”, but they miss the more subtle musical numbers, one of which happens to be one of my all time favorite Disney songs. Taking the top spot on my list is “Go the Distance”, a triumphant anthem for a hero, and it was nominated for both an Oscar and Golden Globe award for best original song. Even Michael Bolton’s rendition was pretty darn good, and found its way on the top of the hot contemporary tracks chart. 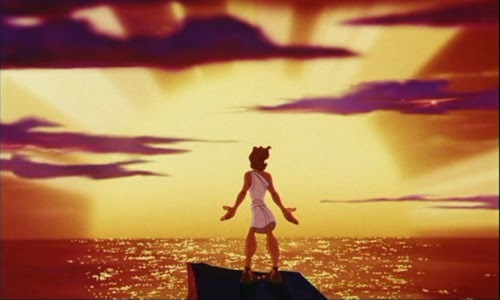 It’s initially sung by a young teenage Hercules that doesn’t fit in with the people around him, but it really highlights the better parts of his character. It’s an inspiring musical piece with an uplifting tone, a triumphant score and it’s arguably the most underappreciated Disney song that I really hope gets more attention.